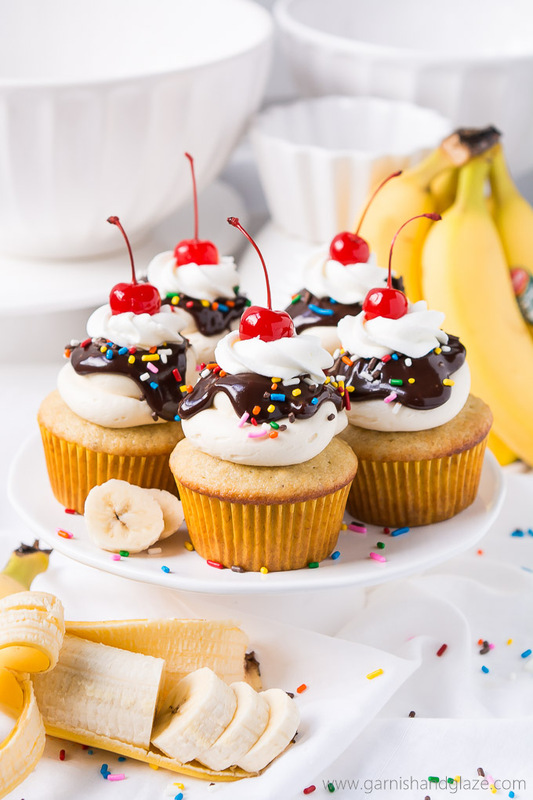 Delight in the delicious flavors of your favorite ice cream dessert in these irresistible Banana Split Cupcakes. I am a sucker for ice cream, especially when it has hot fudge on to. 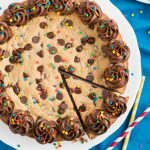 That creamy cold vanilla with warm smooth rich chocolate on top… can’t you just taste it?! 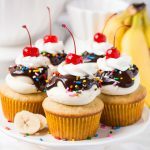 And then it gets even better when you add the extras like sweet bananas, fun and colorful sprinkles, fluffy whipped cream, and a bright red cherry on top. 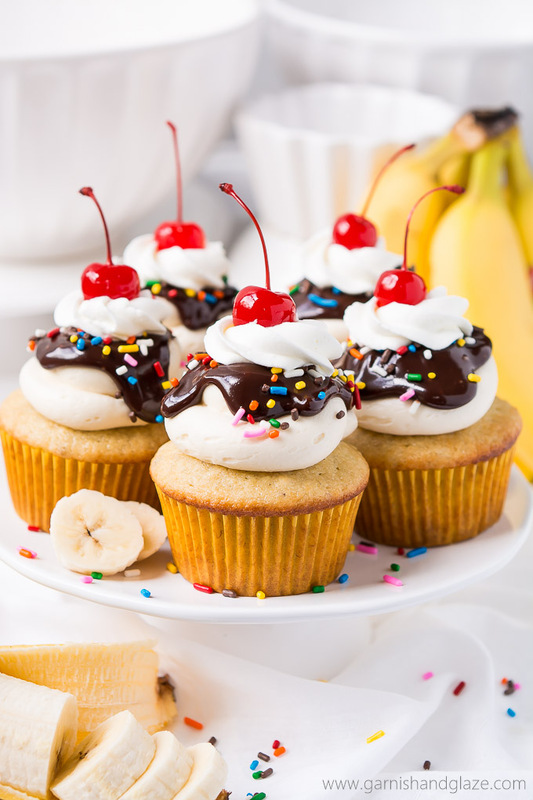 These Banana Split Cupcakes have it all and are no less a temptation. I ALWAYS have extra bananas laying around that are too ripe. I should probably just buy less but it’s better to have too many than too few. 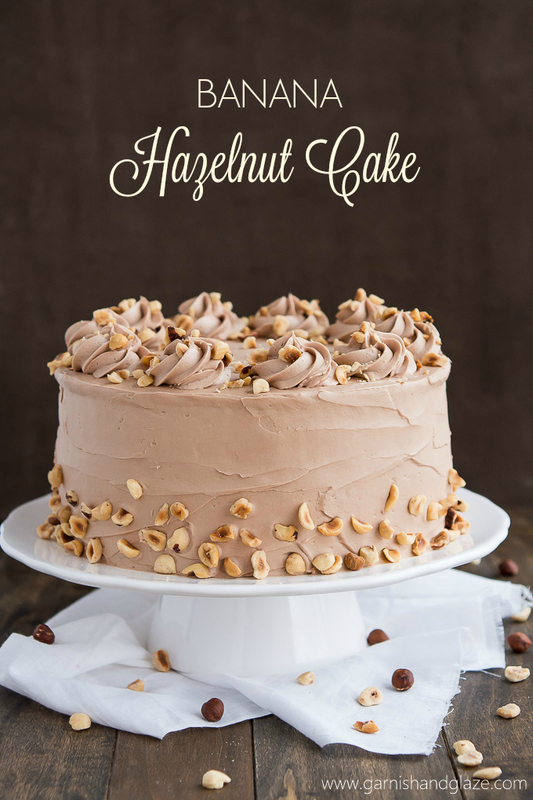 Plus then I have a perfect excuse to make yummy treats like cinnamon streusel banana coffee cake, banana hazelnut cake, or most of all, these cupcakes! Some think that sprinkles are only for kids but I still love them! I love the texture and pop of color. Don’t they just cheer you up? Confession, I don’t like maraschino cherries. But I know a lot of you guys do and they are just too dang cute to not add to the top. 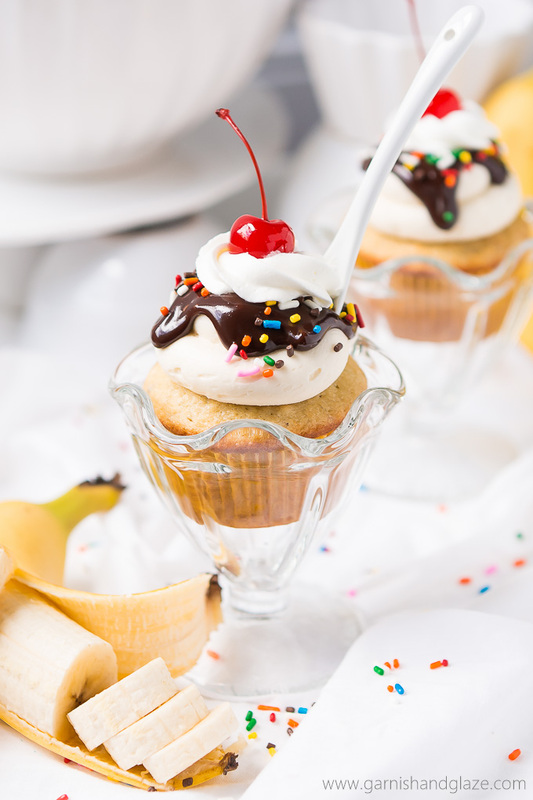 While the topping of this cupcake is incredible, the actual cake is just as good! 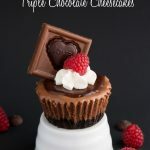 The cupcakes are delicious without all the extra goods on top… I ate two before I even had a chance to make the frosting! 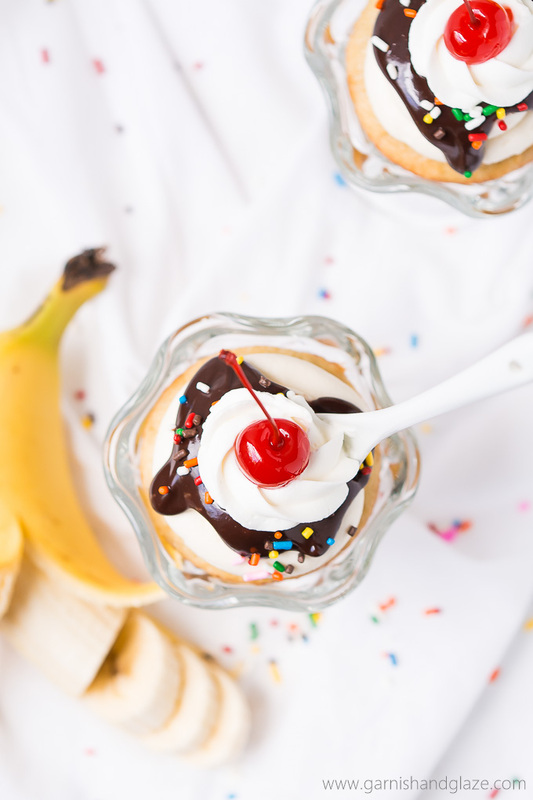 So light, tender, sweet, bananay… how could I resist! 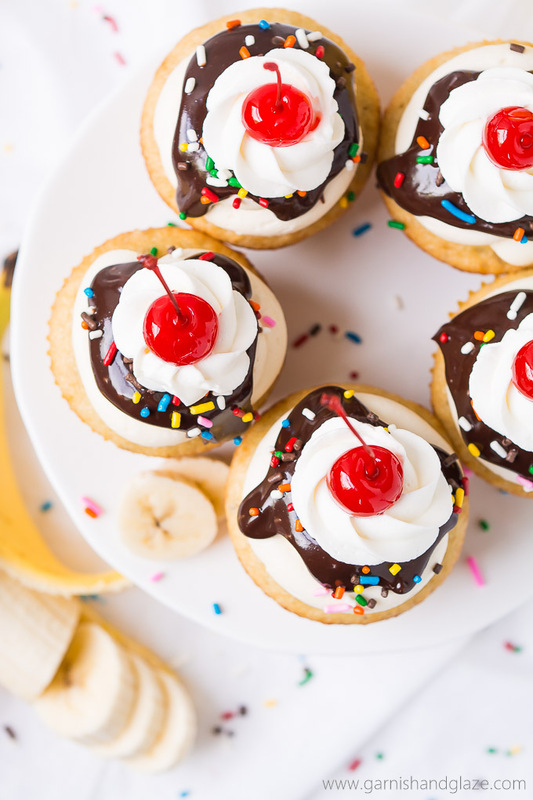 Treat Yo Self to these awesome cupcakes whether it’s your birthday or not. You deserve it! Preheat oven to 350 degrees F. Line a muffin tin with 12 cupcakes liners. In a large mixing bowl, combine flour, cornstarch, baking powder, baking soda, and salt. Set aside. Use can electric mixer to beat butter and sugar together until light and fluffy. 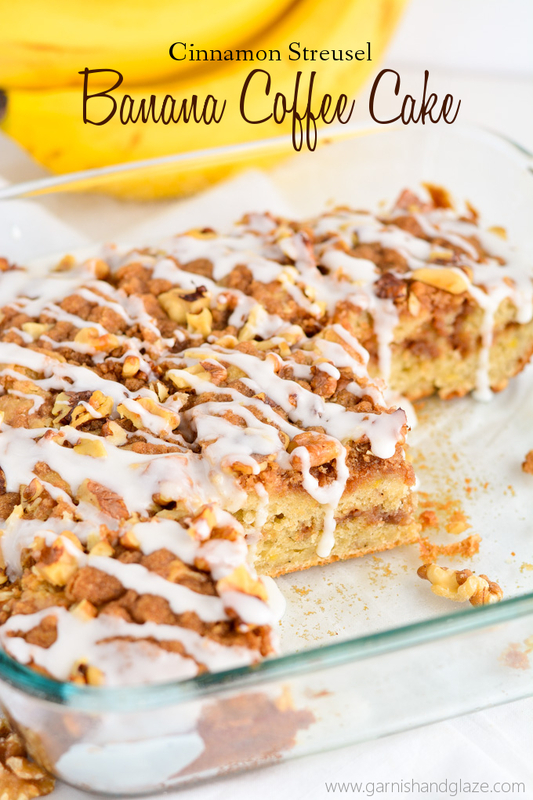 Mix in the the banana, buttermilk, and eggs until combined. Add in the dry ingredients a little at a time while mixing, until combined. Divide batter among the liners (an ice cream scoop works perfect for this!) and bake for 15-18 minutes or until toothpick comes out clean. Remove cupcakes from tin and allow to cool on a rack. 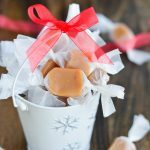 With an electric mixer, beat butter, sugar, and vanilla together until smooth. Add cream until you get desired consistency. 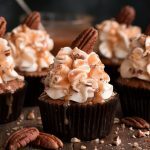 Place in a piping back that is fitted with a large round tip and then pipe onto cooled cupcakes. Place chocolate chips in a bowl. Place whipping cream in another dish and microwave until hot (about 45 seconds). Pour hot whipping cream over the chocolate chips and let it sit for 2 minutes and then stir together until completely melted and combined. Allow the ganache for cool down for a few minutes before spooning onto the frosting. I first shared this post on Handle the Heat.